Recognizing the immense impact that Medgar Evers’ life and Myrlie Evers’ contribution had on the African American civil rights movement, U.S. Secretary of the Interior Ryan Zinke today designated the Medgar and Myrlie Evers Home as an official African American Civil Rights Network (AARCN) site. He also announced the Trump Administration is opening up the formal public comment process to designate the home a national monument. 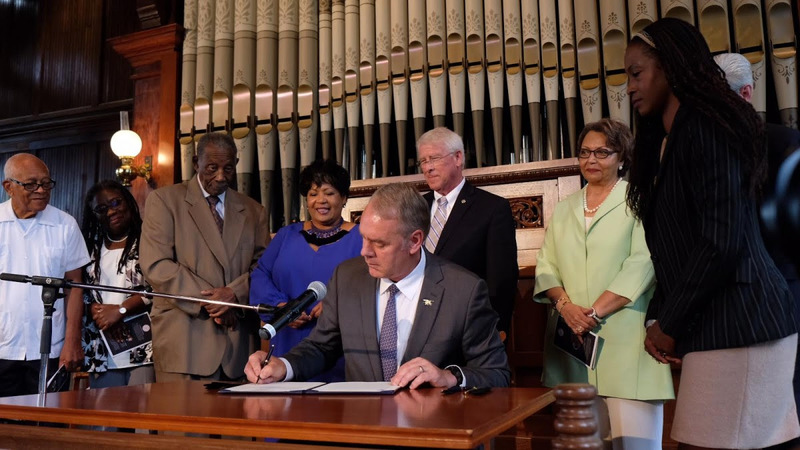 The home, which is located in Jackson, Mississippi, is the fourth site to be designated under the African American Civil Rights Network Act, which was signed into law by President Donald J. Trump in January 2018. The network includes historic locations that tell the history of the civil rights movement in the United States. Secretary Zinke made the announcement at the historic home, which has been owned and preserved by Tougaloo College since the 1990s, and was joined by members of the Evers family including Medgar’s brother, Charles, his daughter, Reena Evers-Everette, as well as Mississippi Governor Phil Bryant, Senator Roger Wicker, and Tougaloo College President Dr. Beverly Hogan.